On June 26th, 1912, Jacques Henri Lartigue captured a Delage racing car at a Grand Prix on the Dieppe circuit. An image of a stupendous modernity that captures the infancy for speed and motor sports, in short the birth of a civilization. 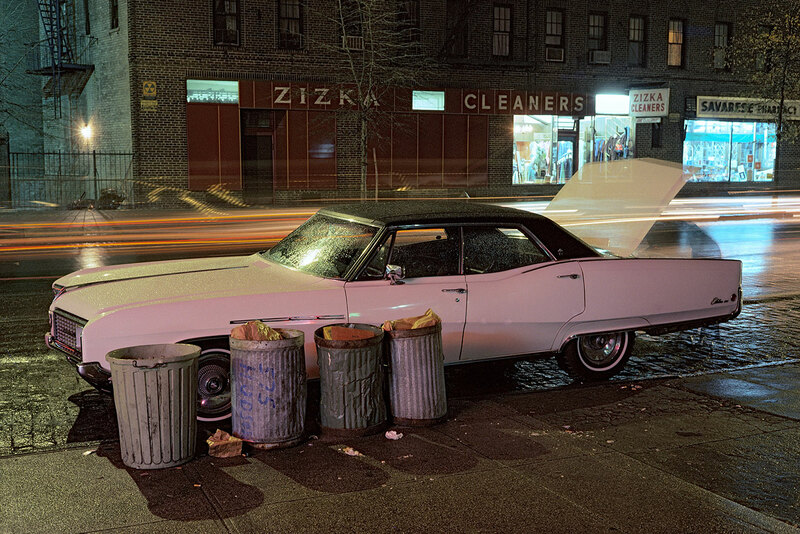 After him, generations of photographers will follow, taking an interest in all aspects of the automobile: its impact on the environment, its aesthetics, also using it as a frame to capture a landscape or its reflection in the rearview mirror. The car has become an unavoidable subject in the history of art. No less than 400 works by 80 historical and contemporary artists from around the world are presented in the Automoto exhibition, from Jacques-Henri Lartigue, Lee Friedlander to Juergen Teller or Valérie Belin. By capturing the geometric design of pavements or our special relationship with this object of desire, photographers invite us to see the world through the prism of the automobile. The exhibition includes other projects that deal with its design. Among them, the artist Alain Bublex created a series of ten mini car models putting into perspective the history of car design. Photographs, drawings and mini models of this installation, explore the decisive stages of the evolution of the automobile through techniques, shapes and uses. After that, it’s hard not to dream of leaving behind the wheel of a beautiful American car straight from of a shot of William Eggleston!